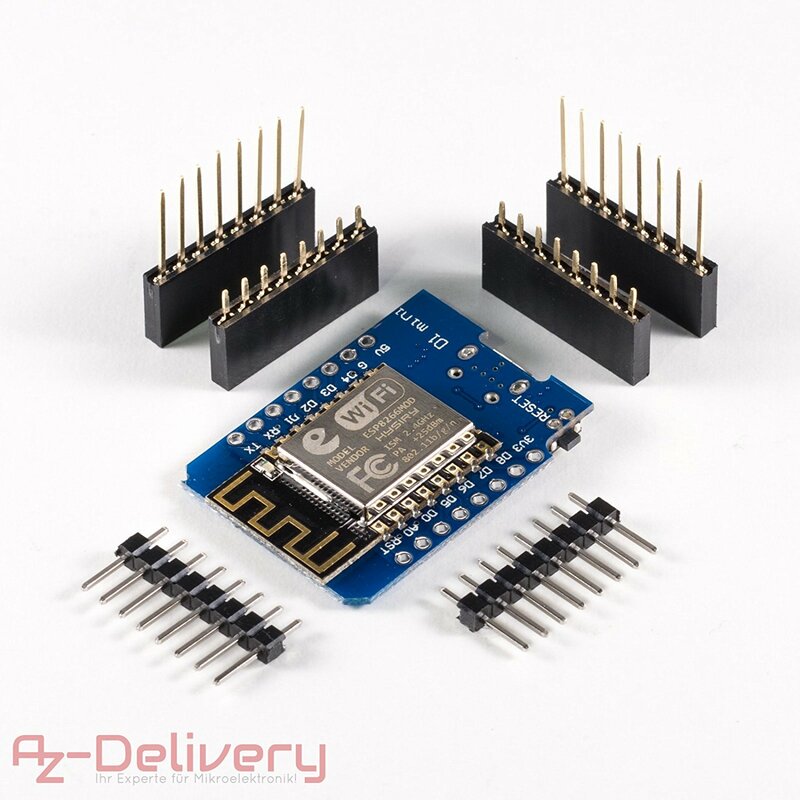 The azdelivery D1 Mini, IS a mini NodeMCU Lua WiFi integrata based on an ESP 8266 - 12E. Thanks to its design ultra Compact, The azdelivery D1 Mini Internet WiFi moduli can be easily pre-stored in a decentralized MANNER. Our Wireless D1 Mini Development Board is 100% Arduino wemos D1 Mini compatible and can be Programmed in the Arduino IDE. High quality and fast Delivery from the UK through purchase at azdelivery.